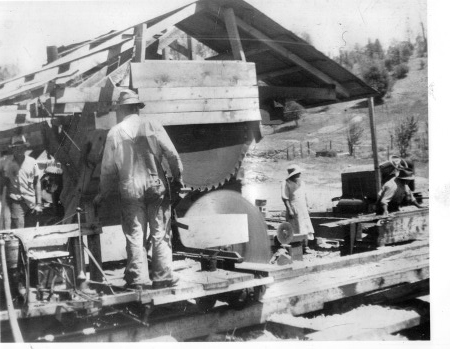 We have only three photos of the Cilenti Mill, but they offer another picture of how these small mills using circular saws operated. These photos were taken in 1937. 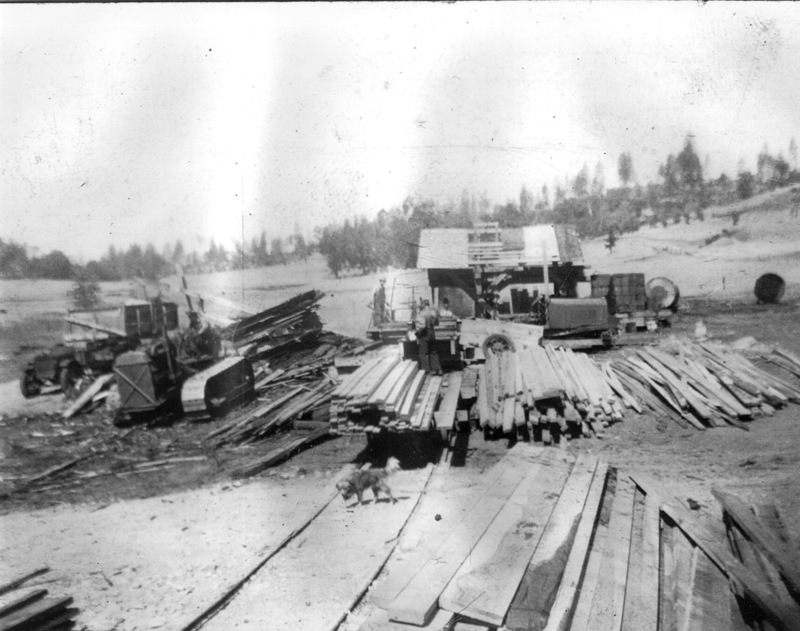 The mill was at Railroad Flat Road and Jesus Maria Road. Our thanks to Mike Cilenti for these photos. 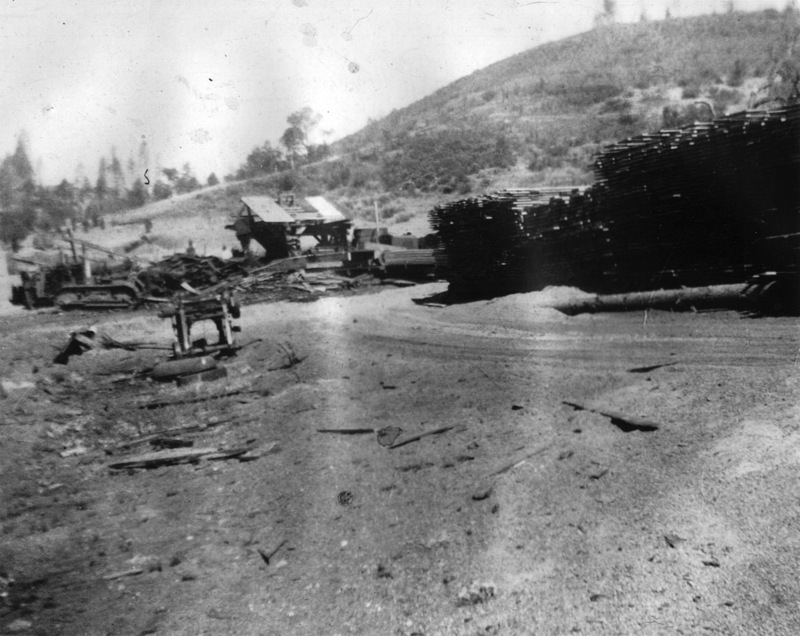 Note the two circular saws making it possible to saw larger diameter logs.